Before scientists found the cure, people thought love was a good thing. They didn’t understand that once love–the deliria–blooms in your blood, there is no escaping its hold. This is the latest offering from the author of the brilliant Before I Fall. Lauren Oliver has delivered another work of young adult (YA) fiction that will blow readers away. This is a fantastic dystopian that crosses age barriers flawlessly. Lauren Oliver writes beautifully and skillfully; she has offered up another great book that takes the notion of YA fiction and turns it upside down. Many readers hear the term YA and cringe or back away for fear that this is yet another Twilight remake. But fear not! This isn’t another paranormal romance novel with annoying characters. This is absolutely fantastic. More readers are turning to YA fiction for more of what they love: dystopian fiction, sci-fi, and fantasy. The lines are blurring and the crossover potential is infinite. YA is fast becoming one of the best-selling genres of the moment and with books like Delirium, it’s not hard to see why. Dystopian fiction is on the rise again. This genre is not new but authors such as Oliver definitely have fresh outlooks on it. Thanks to the popularity of such dystopian classics as Soylent Green and 1984 and the unforgettable Brave New World, authors are turning back to a type of writing that works and we are all truly grateful. Delirium takes readers to the not-too-distant future where love is a disease that needs to be cured and the “powers that be” have decided that love is the reason for all that is wrong with the world. Delirium explores that idea that by curing people of this disease “love,” the world would be rid of civil unrest, and society would be placid and more pliable. And of course, it wouldn’t be a story without some romance, and Lauren Oliver has cast Lena as the troubled teen who falls in love amidst circumstances that forbid it. I don’t want to give too much away about the plot and the way this story evolves because you just have to read it for yourself. One thing I can say is that Lauren Oliver’s writing is captivating. It draws you in right to the last page. 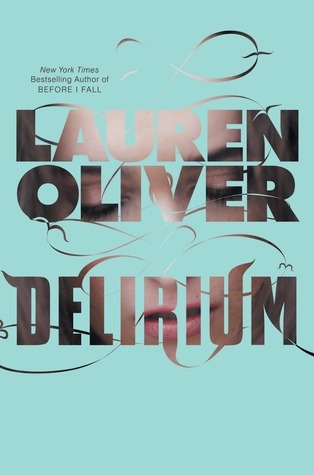 The use of language in Delirium is stunning, and that’s what sets Lauren Oliver apart from most YA writers. She doesn’t “dumb down” the language or assume that her readers can’t understand big words, and that is part of what makes Delirium so incredible. Not to mention that the characters are real and totally believable and likeable. Lena is a great character and I know everyone who reads it will empathise with her right till the end. Do yourself a favour: if you haven’t read Lauren Oliver’s work yet, do it now. You will not be disappointed. Delirium is great. Diva Schuyler: If you love Delirium as much as the Divas do, you’ll be glad to know it will be a trilogy! The next book will be Pandemonium, and the last, Requiem.